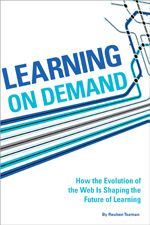 In Learning on Demand: How the Evolution of Technology is Shaping the Future of Learning, author Reuben Tozman suggests innovative ways for us to approach the systems we should be working toward and the ways in which we support people to do their jobs. 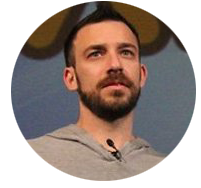 Reuben is the founder and CEO of SlideJar, a cloud-based asset management company. He is also the co-founder and former CLO of edCetra Training. I was happy to interview Reuben about the ideas he explores in his book. Hope you enjoy it. 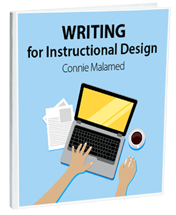 Connie: Can you briefly explain the core thesis of your book, Learning On Demand? Reuben: The core thesis of the book, is that designers need to start accounting for the technologies that have fueled the growth of the web. Currently designers are using an outdated paradigm for designing, structuring and developing electronic assets that live on the web that run contrary to how the web actually ‘likes’ content. By looking at how the web became such an integral part of our lives, there are five principles of designing digital assets that we need to account for. They are: Feed the web, Help the web understand, Expose yourself, Make it viral and Communicate. Connie: What are the top reasons that the current world of training is not meeting the needs of a workforce that is co-evolving with the web? Reuben: The problem with our design strategies is that they are not accounting for the one thing that is most important and most valuable to people and businesses—time. Workers today spend 25% of their day trying to find information they need to complete their tasks and jobs. When we create digital assets that are not interwoven into the natural flow and processes of how a person operates and how the business operates we are creating more obstacles than we are removing to helping people become effective and efficient. Our systems are isolated from other systems a business uses to operate. Developing stuff that sits in an LMS, which doesn’t speak to any of the other business systems, makes it hard for people to find information that hasn’t even been designed to be consumed in context. Connie: How has the web evolved and why is this important to learning professionals? Reuben: The web at its core was designed to be a communication system that could withstand nuclear attacks. The model was to have a host of interconnected machines—nodes, placed in different locations so that if a node went down, the system could continue to be used. Essentially the web has evolved based on that model and has fundamentally changed much of our socioeconomic norms as well. Kevin Kelly the former editor of Wired once said that there is no economic model to support the idea of the web. To support that, people would ‘donate’ their time and energy without monetary compensation to the web for nothing in return. But the web has a way of giving back and over time has yielded its own model for value. This evolved system for creating ‘value’ is a core focus for content strategists in marketing and ought to be a large focal point for those of us in L&D as well. Connie: “The web wants to understand itself,” is one principle you discuss. How can learning professionals tap into the power of the semantic web? Reuben: I think ‘The Semantic Web’ is being replaced by a ‘semantic web’ and the difference is key to understanding how learning professionals can tap in. The Semantic Web was a single guiding specification that would allow all content on the web to be understood by machines. As an example, without some language for letting a machine know that Montreal and Toronto are related because each is a city in Canada but different because they are in different provinces, simply having text on a screen that says so doesn’t let a computer process that information. Its just text. So when we talk about machines understanding content what we mean is somehow through a programming language, defining for a computer what text means so that it can draw relationships for us. Until recently, The Semantic Web was the answer for allowing machines to process all the information on the web in a way that was understandable to the machine. However, advances in technology and other supporting mechanisms like API’s have now made it possible to let machines resolve content that wasn’t related through a common programming language. In other words machines can draw inferences of their own based on different languages and different communication protocols. Learning professionals can tap into this power by creating content models for themselves that can be implemented through technologies that support machine understanding. Learning professional don’t need to program it. They simply need to start thinking more holistically. They need to start with a content model and how that model speaks to the systems they are working with. Connie: How can using the DITA standard, a technical documentation spec, add value to training materials? Reuben: Something like DITA (Darwin Information Typing Architecture) is a ‘content model’ which I spoke of earlier. It is a way to help machines understand content within a specific context. The DITA standard was created for technical documentation teams that were creating documentation around products. The DITA standard helps those involved in creating technical documentation a way to structure their documents and help machines parse through information based on how documents were structured. So really DITA and SCORM are not the same thing and theoretically complimentary. I worked on the technical committee that created a DITA for Learning specification where we incorporated SCORM packaging as an end result. Connie: Let’s talk about going beyond SCORM. How can using the Tin Can API add value to training materials? Reuben: What is often misunderstood about SCORM is that SCORM is a packaging standard. It was a specification that embodied the existing model for collecting data on student progress, and made that model interoperable between different machines. 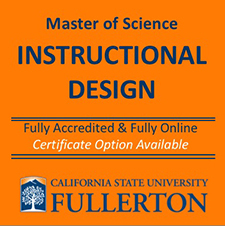 We often blame SCORM for many design limitations, but the truth is SCORM simply took our existing model for delivering educational materials and for measuring ‘learning progress’ (whatever that is) and made it work within a learning management system. Learning Management Systems were modeled themselves after our existing paradigms for delivering education. When we say ‘going beyond SCORM what were really saying is moving away from our traditional methods for delivering and measuring ‘education’. If we talk about moving beyond SCORM in the way that I’ve described which is a movement away from traditional modes of delivery and measurement, we can look at the Tin Can API, now called the Experience API (xAPI), as a specification that takes us towards this vision. The xAPI is a specification that lets designers create their own data models for how they want to track ‘learning’. To take this one step further, we’re really not tracking learning. What we are doing is we setting up data points and creating a data model that gives us evidence of specific behaviors and outcomes. Learning can be inferred based on a data model. 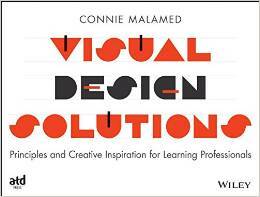 Connie: What is your vision for an evolving learning-on-demand system? Reuben: A learning on demand system is a network of people and machines that are able to communicate and help each other learn and evolve. Technically, we’re not that far away. Emotionally we’re very far from accepting that our own evolution and our own learning is already co-evolving and co-learning with machines. Practically speaking we’re still designing and developing instructional materials that are divorced from the systems that operate our businesses and the systems that are shaping our socioeconomic realities. This might seem very sci-fi and dramatic to some but the reality is, on a very practical level, marketing strategists design their content to be found, design their content to change behavior and design their content to have an emotional impact on their target audience. Aren’t all these things what we want as well? So if we look to what a content strategist does in that world we see them deploying content into the ‘machine world’ in a way that allows the machine to work with the content as much as humans work with the content. We see them buried in data, constantly evolving how the content is found, and how to create ideas that change behavior. They are doing exactly what I’m talking about. They are working with the systems that help our society evolve and the society that helps the system evolve. The learning on demand system that I envision is the same system which operates inside and outside our businesses and helps individuals connect with the right content, the right people at the right time. Connie: What are the core components of a learning-on-demand system? Content as an API. That is, content that can speak to many machines, deploy to any device and render intelligently based on context. Deconstruction of hierarchy and allowing all individuals to participate at all levels (as they do now). Essentially people are neither learners, nor instructors. However any individual is capable of learning and instructing. Analytics that are used for reporting, analytics that are used to help machines make changes to context over time, and analytics that are used to feed other analytics. Connie: What paradigm shifts are required to design a learning-on-demand system? So instead of designing ‘learning’ we need to design the components that allow individuals to control how they learn. We need to adopt network principles and understand that individuals need multiple channels, multiple pathways to get the same information so that if one channel changes or disappears that there are other channels and that they are all connected. Delivering content one way, one time is to assume we impose learning. Connie: What are some practical ways instructional designers and developers can design for an evolving workforce and environment right now? Reuben: Practically speaking, designers can start designing for the system where individuals work instead of designing for the individuals themselves. What does this mean in practical terms? It means you need to strengthen the environment where individuals work to better support the individuals. Stop designing for individual preferences and start looking where you can embed and strengthen existing resources to be more helpful. 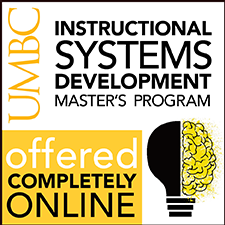 Designing a course that sits in an isolated infrastructure like an LMS creates a burden on an individual about how they can access information and how quickly they can find it. Think about ways that you can enhance the environment and the individuals will benefit. Thanks for taking the time to share this in-depth interview, Reuben. Excellent article. Makes me want to read the book but I probably won’t have time. So nice that you and Reuben can summarize the key points. I think he is absolutely right. Thank you both!